The Training Home for Destitute Orphan Girls was established in 1863 and occupied premises at Clarendon Street, Wolverhampton. On 25 April 1870, the establishment was licensed to operate as a Certified School, allowing it to receive children boarded out by the workhouse authorities. 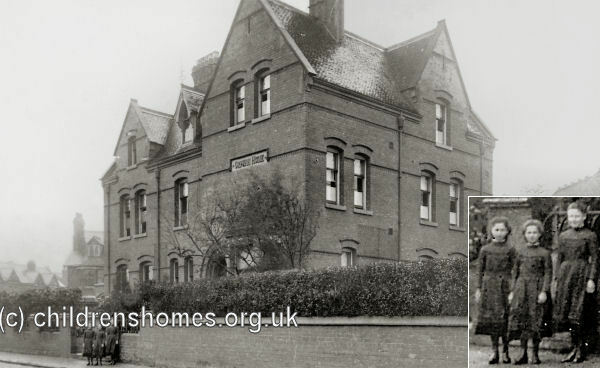 In around 1880, the home moved to a new building at 17 St Jude's Road, Wolverhampton, which was licensed as a Certified School on 2 March 1881. The premises could then accommodate up to 25 girls. The home gave up its Certified School status on 23 September 1896. Admission to the home was through selection by its management committee. Inmates were from 7 to 10 years at their date of admission and normally remained until the age of 15. In 1907 the annual fee required for each inmate was £10. The home was still in operation in the 1940s. It had closed by 1954, when £10,000 of its assets were passed by the cahrity's trustees to the Wolverhampton Royal Orphanage.